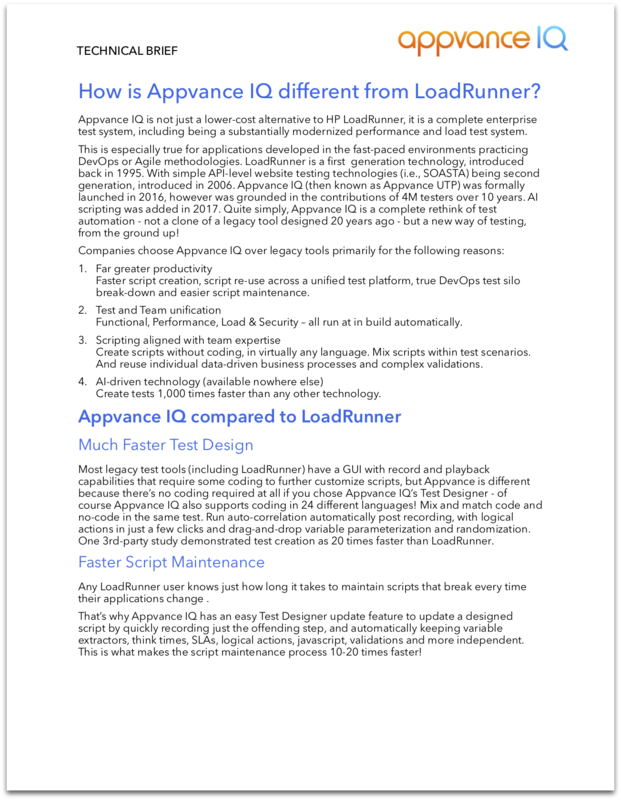 Tech Brief: How is Appvance IQ different from LoadRunner? 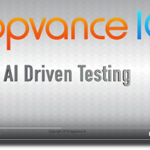 Appvance IQ is not just a lower-cost alternative to HP LoadRunner, it is a complete enterprise test system, including being a substantially modernized performance and load test system. This tech brief compares the two in terms of test design speed, script maintenance, support for web technologies, and tech support. It also includes FAQs and a detailed comparison table.